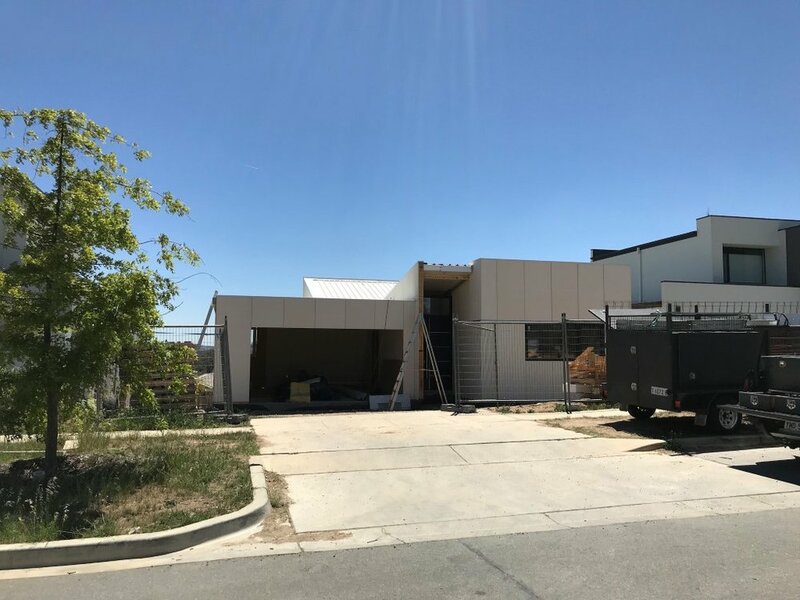 Our Canberra Passive House project has just undergone door blower testing and blitzed the air sealing results required by the international Passive House standards. This testing is required to prove the air-sealing of a projects building shell as built - as opposed to NatHERS energy ratings which generate a ‘Star rating’ based on software modelling only. The door blower test literally fits a fan to a door opening, then pressurises the building (to a standardised 50KPa pressure) and measures how much air leaks from the building. To achieve accreditation under the Passive House standards, houses have to be tested to achieve a minimum air-leakage of 0.6 air-changes. Our Canberra Passive House project has achieved 0.19 air-changes - or under 1/3 of the minimum Passive House standard . With our clients seeing the value of the comfort and energy efficiency passive house building shells provide in Canberra’s climate, thermal performance was a major design focus as we worked through the opportunities of the site and Canberra’s planning requirements. Our clients and the team at Brillyant Building have done a great job installing our modular fabric, high performance windows and sealing the building shell. 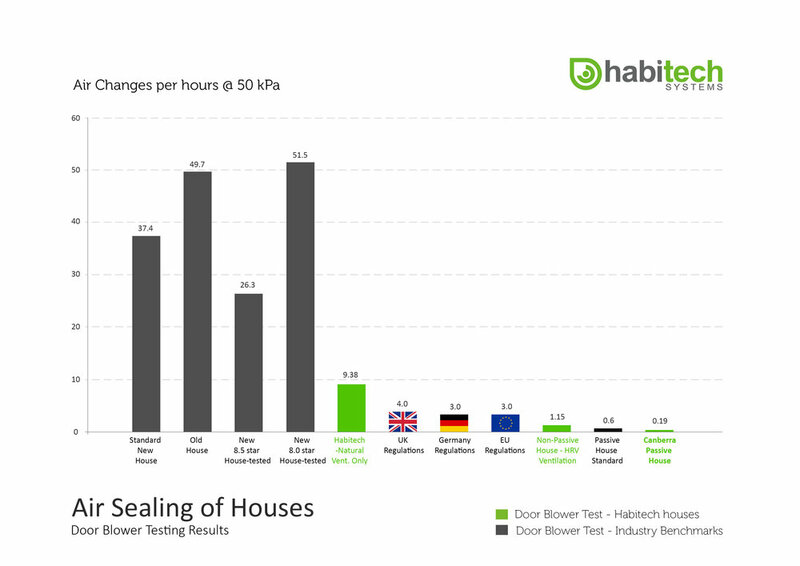 To get an understanding of how well air-sealed Australian houses are, and how this compares to international and passive house standards, refer to the graph at the bottom of this post. Further information on the international passive House standard can be found here. 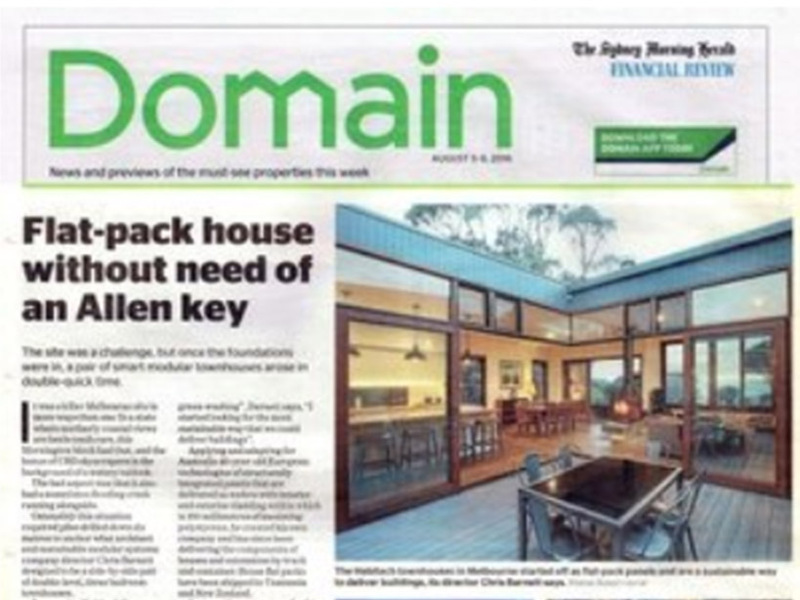 To learn more about our Canberra Passive House project , click here.